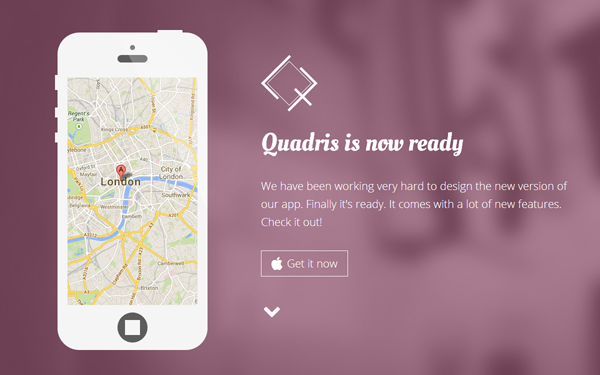 Quadris is a perfect landing page for presenting your new mobile app. It comes with a flat design style, with 3 ready to use colors and has all the features you need. Item Reviewed: Responsive Flat App Landing Page 9 out of 10 based on 10 ratings. 9 user reviews.